Create your Winter Wonderland this weekend with our fantastic 60L special offer Winter Garden Plants and Trees collection! 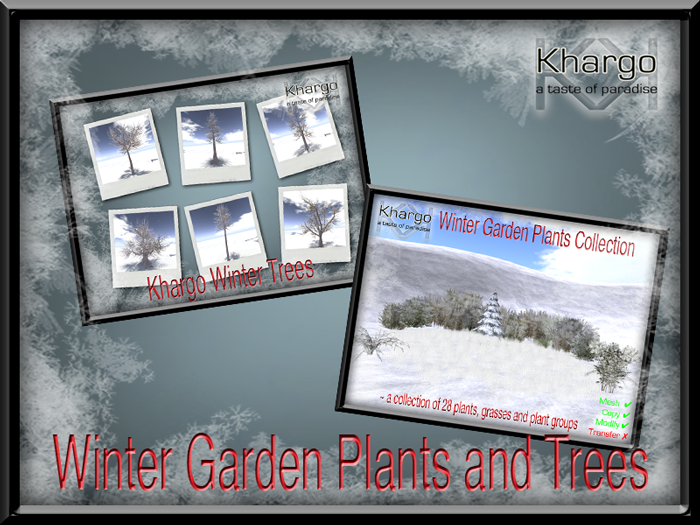 Our new release Winter Trees is a collection of 6 different trees. Normally selling for L$150, this weekend they have been paired with our popular Winter Garden Plants for the special price of only L$60! This offer is available at our Christmas Market in world this weekend only for My 60L Secret.